It’s been about four years since I last rode the Seguin Trail with Executive Director Pete Searle and YouTube ATVer Rex4x4 - but I have very fond memories, despite being soaked to my armpits a few times. Our ride was very early in the season - I was trying to put together a little video of the ride, and Pete had generously agreed to guide, although the Seguin is a super easy trail to ride. The dust was down, the water was up and the weather was quickly warming as we set out from the staging area at a rest stop on Highway 400 at the Horseshoe Lake Road exit. Pete took us to see an abandoned railway boiler, and it being early in the season, we spent a good amount of time getting around too-deep water holes, and occasionally falling right into them. But what isn’t soggy about the Park to Park is the experience - this is an incredible trail system that cuts right through the heart of Ontario, built on the very fabric of the history of the province; rail trails that colonized the area, stone bridges, ghost towns - this is what it's all about. There’s majestic rock cuts, deep valleys, tall bridges and a variety of Ontario landscapes - swamps, lakes, rivers and forests. There’s also lots to places to easily jump off the trail, get food and gas, and then get going again, and also lots of quiet side trails that offer changes to throw your line in, or go for a dip in the heat of summer. 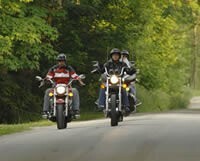 Most people stop at both ends, just outside Parry Sound in the west, Orrville in the east and at Sprucedale at the midway point. Every year the Park to Park staff and volunteers are working tirelessly to expand their system, with a few miles of new trail every year. This year they’ve got a killer ATV rally planned for June 15th, with lunch and dinner included. 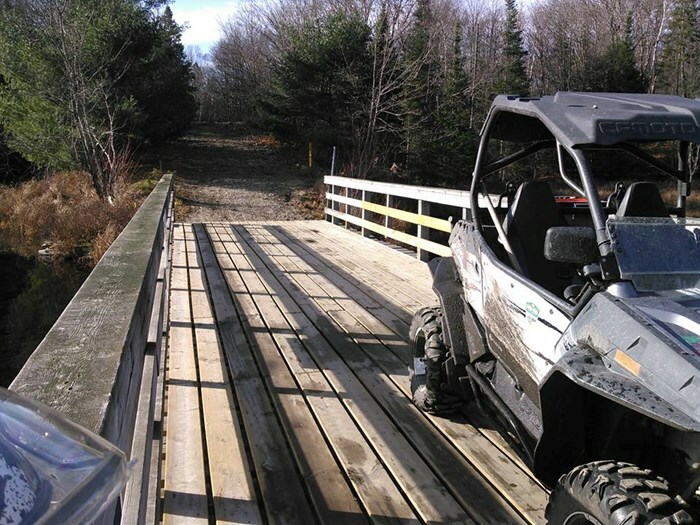 Rally riders will be the first to try this year's new section of trail. If that’s not enough to talk you into it, there’s a BBQ slated for the Friday night at the infamous Jolly Roger - a Park 2 Park staple. You should register at: http://www.parktoparktrail.org/doitfordads. 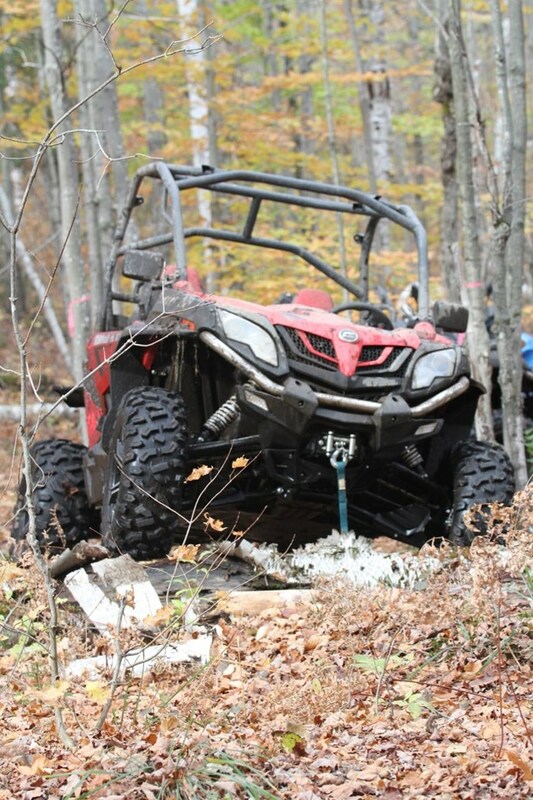 Due to an incredible snowmobile season this year, the P2P will likely open a little later this year as the snow melts and it takes time for the ground to firm up. We recommend staying in touch by visiting their website: http://www.parktoparktrail.org/ or Facebook Page. The two parks the trail system links are Killbear and Algonquin, although the trail does not enter either park. The trail map on the website can help visualize where the trails runs exactly, and you can order a paper map for $2 if you like to plan the old fashioned way (which is the better way in my opinion haha!) - grab your copy here. Finally, there’s trail passes. 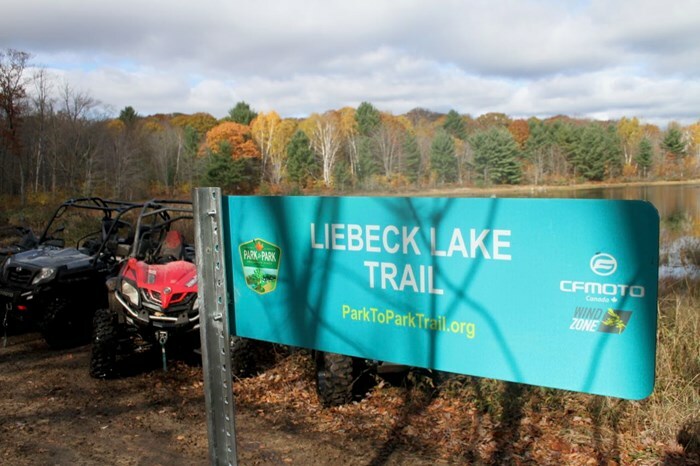 It's important to note that all dollars from trail passes actually go back into the development and maintenance for the trail, and passes are for the user - so if you have two machines, you can use either one. Passes are available online here: http://www.parktoparktrail.org/trail-passes Rates are $25 for a day, $45 for two days (weekend), $75 for a week or $150 for the year. 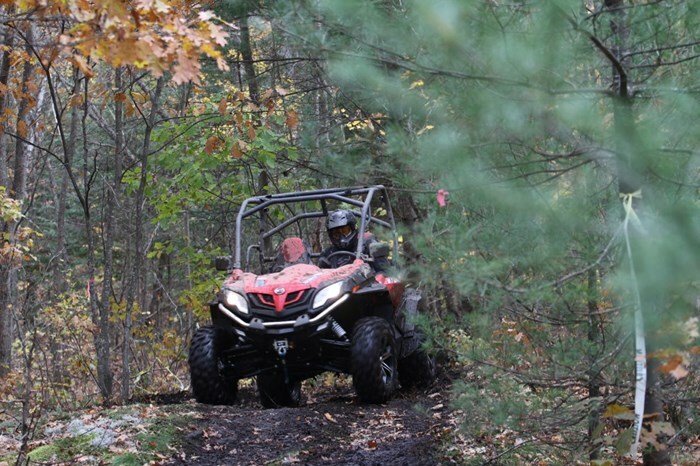 The pass works for ATVs, Side by Sides, UTVs and dirt bikes. Horseback riders, dog sledders, cyclists, walkers and joggers don’t need to pay. Season passes also allow for access to the EOTA, adding 1700 miles of trails that’s open to you for the season! 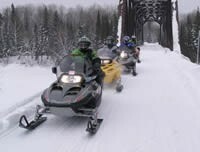 If you’re looking for a new destination in 2019, or are just starting out on ATVs, this is a great place to start, and a great year to enjoy all that the Park to Park has to offer! See you on the trails!